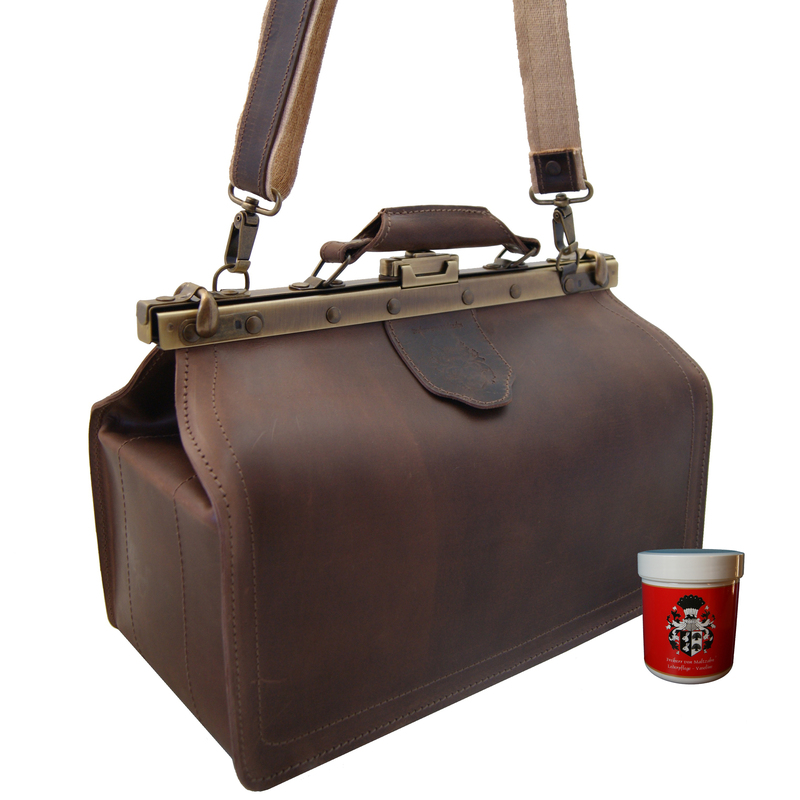 Product information "Shoulder bag HIPPOCRATES brown organic leather"
You can casually carry the shoulder bag HIPPOCRATES of brown leather over your shoulder or by hand, just as you prefer. However, this is actually secondary because, due to its noble design, this model is an accessory which magically attracts all glances. 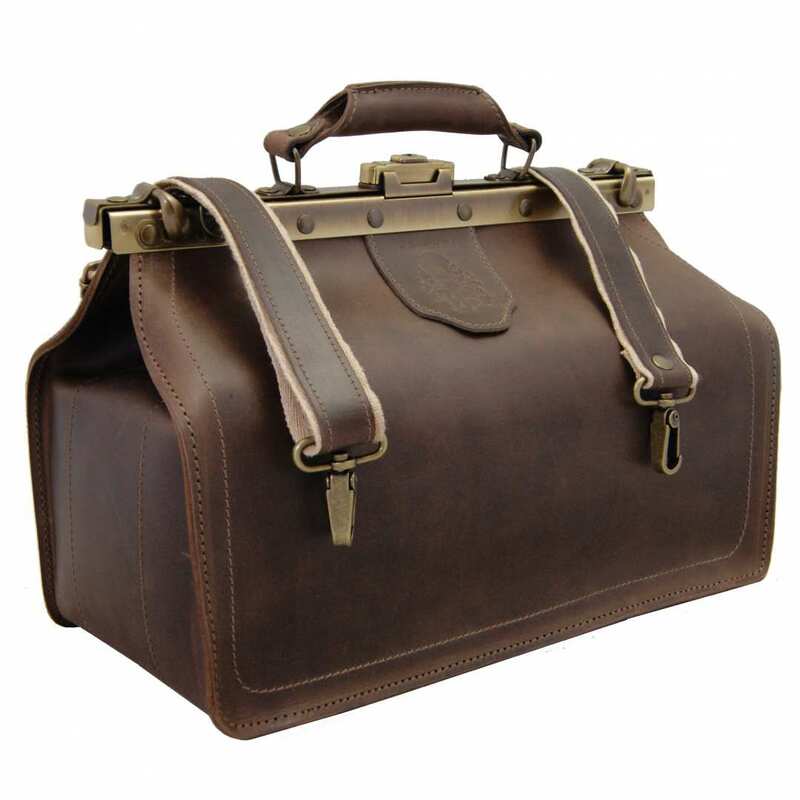 The fine leather of the doctor’s bag HIPPOCRATES made of leather has a unique texture. Additionally, by the color abrasions which appear when using, this model becomes a special piece of the collection BARON of MALTZAHN. You can be sure that you own a very personal and individual treasure. The first time you open your shoulder bag HIPPOCRATES made of leather, you will be immediately amazed by its comfortable spaciousness. 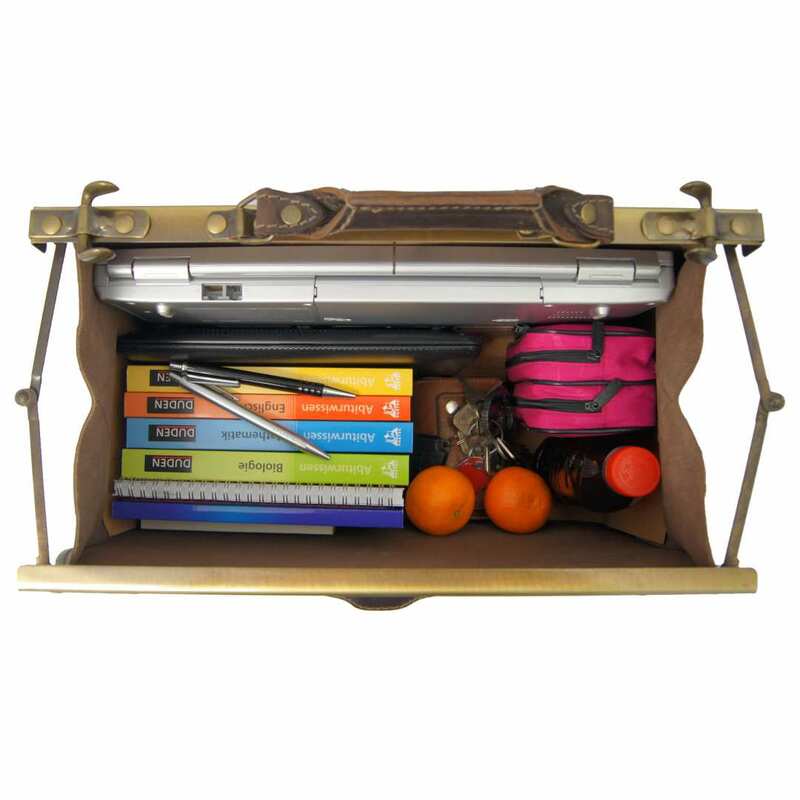 Your laptop, documents and personal belongings easily find room in here: everything is available for the quick grip. The best part is yet to come: every item you store in the bag is protected from curious glances and unauthorized fingers. The plug lock closes perfectly, so your shoulder bag HIPPOCRATES of brown leather is appropriate to hang over your shoulder and will avoid anything falling out of it. This aesthetic model is made of organic cowhide leather with a 2.7mm thickness. The material is very sturdy and resistant. By the unique texture and the high grade fittings, the bag receives a distinctive and very elegant look. In the inner compartment a first class cotton lining is incorporated. 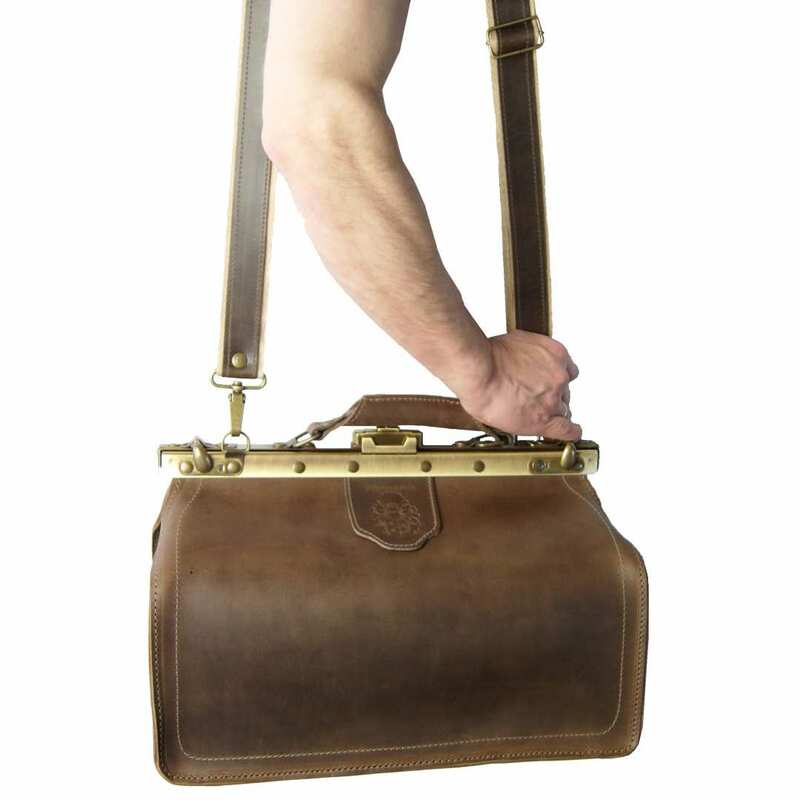 A robust handle and a comfortable shoulder strap complete the design of the medical shoulder bag HIPPOCRATES made of brown leather. 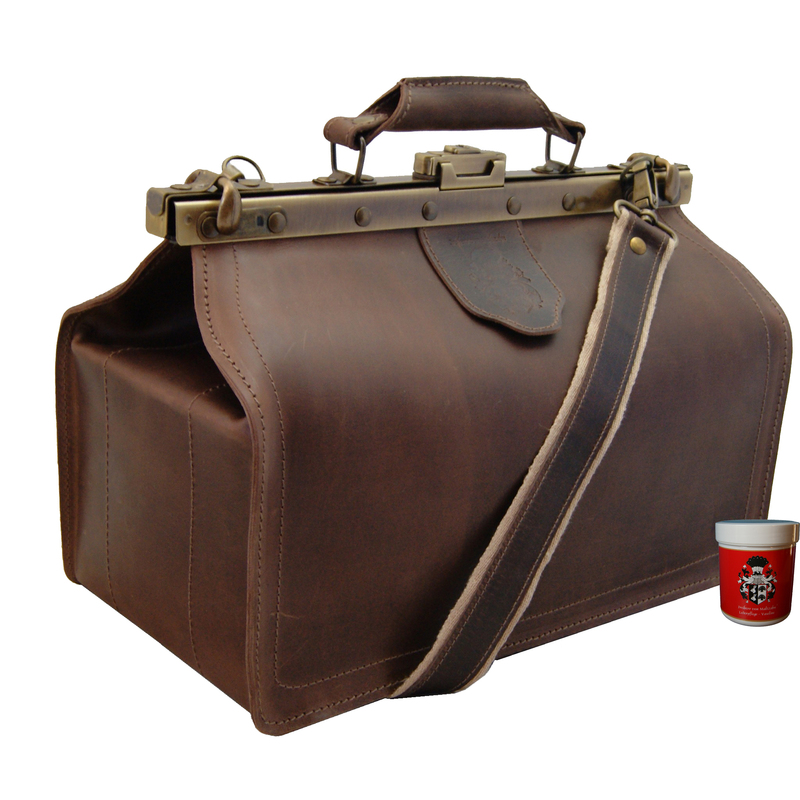 The total dimensions of the doctor’s bag are 15 x 10.6 x 7.5 in (40x22x20.5 cm). 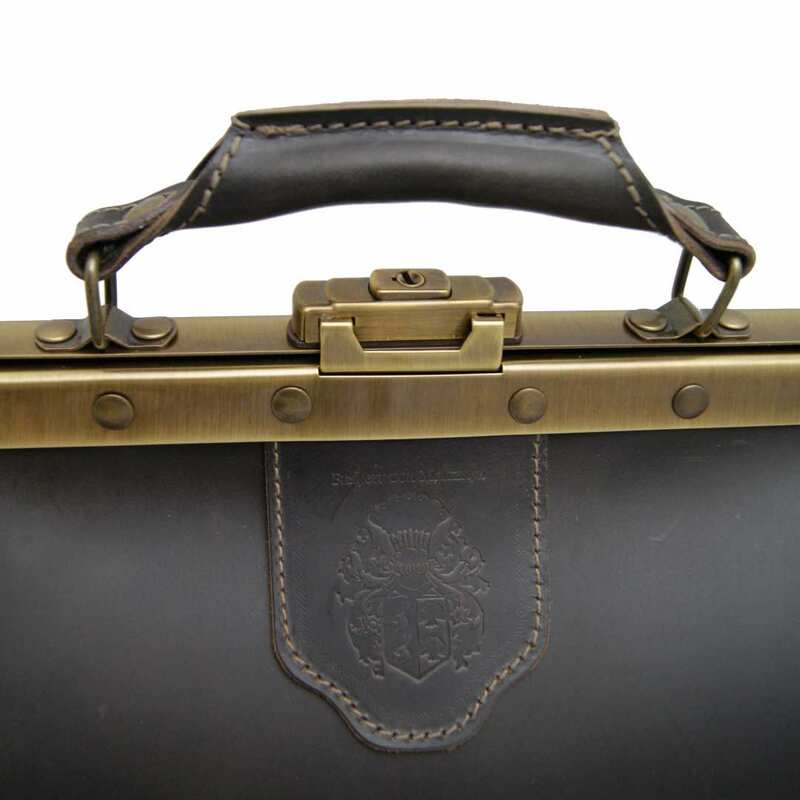 Like every piece of the Collection BARON of MALTZAHN, the doctor's bag HIPPOCRATES has been lovingly manufactured by hand! Reviews for "Shoulder bag HIPPOCRATES brown organic leather"